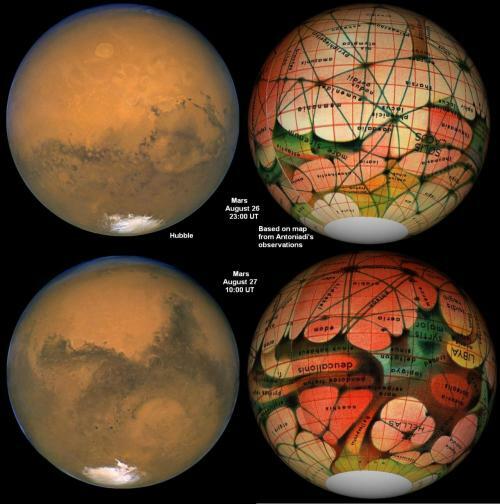 A comparison of drawings made by Eugene Antoniadi during the opposition of Mars in 1894, with recent images taken by the Hubble Space Telescope. APOD for Nov. 12, 2003. Mars will come into opposition this year on March 3rd. This entry was posted in Front Page and tagged astronomy, eugene antoniadi, mars, Posthorn, Repost, science, space, Tumblr on 12/02/2012 by John.